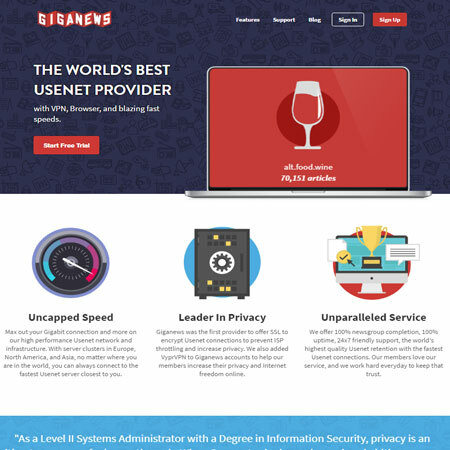 Giganews is one of the biggest and oldest premium Usenet Providers out there.? Giganews has always offered the longest binary retention and text retention.? They also boast great article completion and fastest download rates. Giganews has been setting the standards across the Usenet service provider industry.? With most (if not all) of the ground breaking services coming from Giganews first. 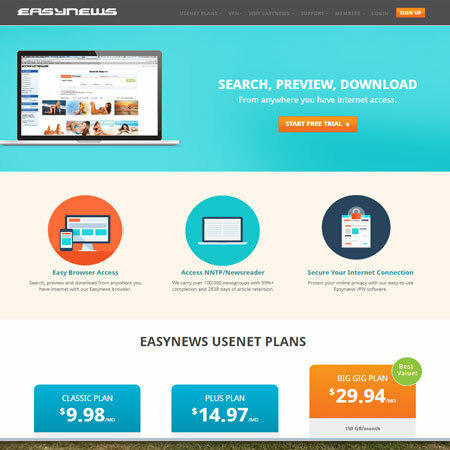 In more recent years Giganews has expanded to include its own Usenet browser (Mimo). They have added personal online storage (Dump Truck), and their very own VPN service (VyprVPN). Giganews is classed as a Tier 1 provider, this means they own and provider their own network.? Other providers may use their services or "resell" Giganews' services.? As you may expect, its often best to go direct to the top provider.? This is certainly the case with Giganews, as you get a LOT more for your money. Giganews offers a FREE 14 day trial of their services for all new customers.? This is great for you the end user, as it enables you to test for certain newsgroups, speed and completion. Well firstly there is the retention, its the longest of ALL the Usenet providers.? Their completion rates also match this with over 99% of articles complete.? At the time of writing there is over 5 years of binary retention, with no signs of it stopping! 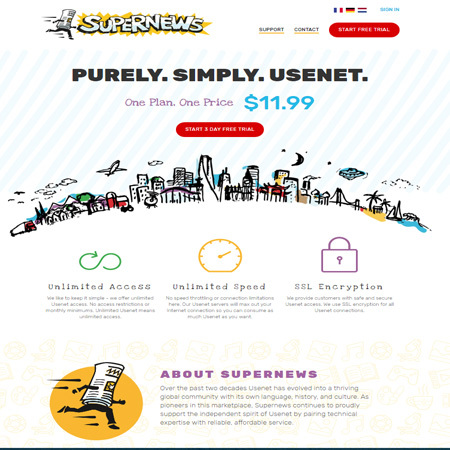 The speed that Giganews offers, is also very hard to match for most Usenet Providers.? 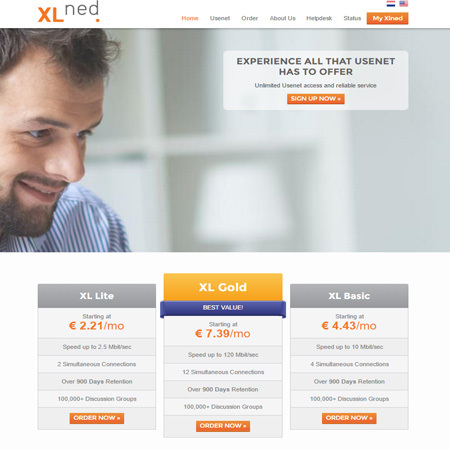 Our speed tests were maxed on our 75mbit line. 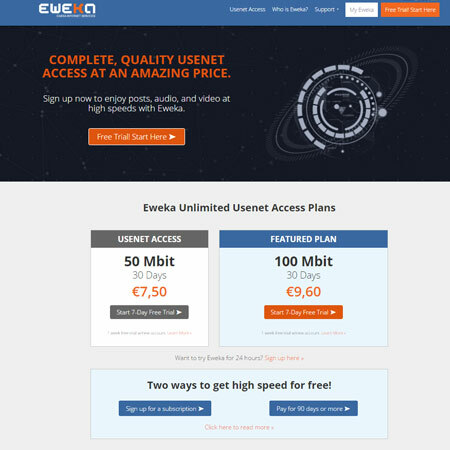 We also liked their Mimo Browser, very handy for images and simply browsing Usenet.? They also offer the Giganews Accelerator, this will compress your usenet data so to increase speeds even more.? This is mainly used by the non-binary users. Giganews offers a FREE trial of their services. Please be sure to check the terms and conditions of any trials. What can I say, even the files and posts over 1500 days were complete!